Concerns about food security and last year’s dismal drop in grain supplies has pushed the Chinese authorities to increase funding to the agricultural sector. Han Jun, deputy director of the central agricultural work leading team office, said on Monday that China will inject 600 billion yuan (around $88 billion) into the sector by 2020 to improve farmland quality and compensate for the grain shortfall. The Ministry of Land and Resources says that nationwide efforts to improve arable land and use the latest agricultural techniques could yield a 10- to 20-percent rise in grain production capacity. The new funds should boost those chances by 2020, whereupon the government hopes to improve the quality of up to 40 million hectares of land for farming purposes. China has been facing a decline in arable land as the real estate market demands more space for construction of new housing projects. 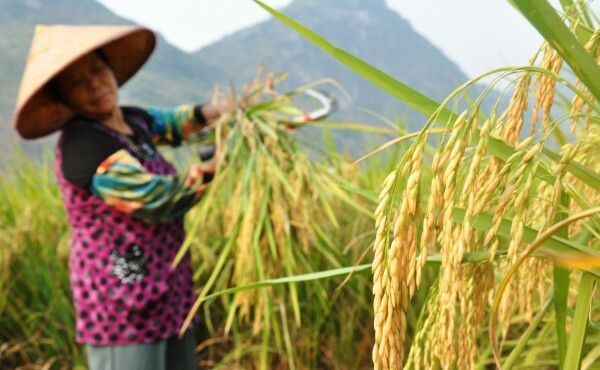 In keeping with the current five-year plan and the sixth plenary in October, China’s Communist Party released a communique on Monday calling for more effective agricultural planning to ensure grain self-sufficiency and food security. The CPC has tried to reshift priorities away from the traditional bastions of the economy – manufacturing, exports and government spending – to focus on domestic consumption and services.